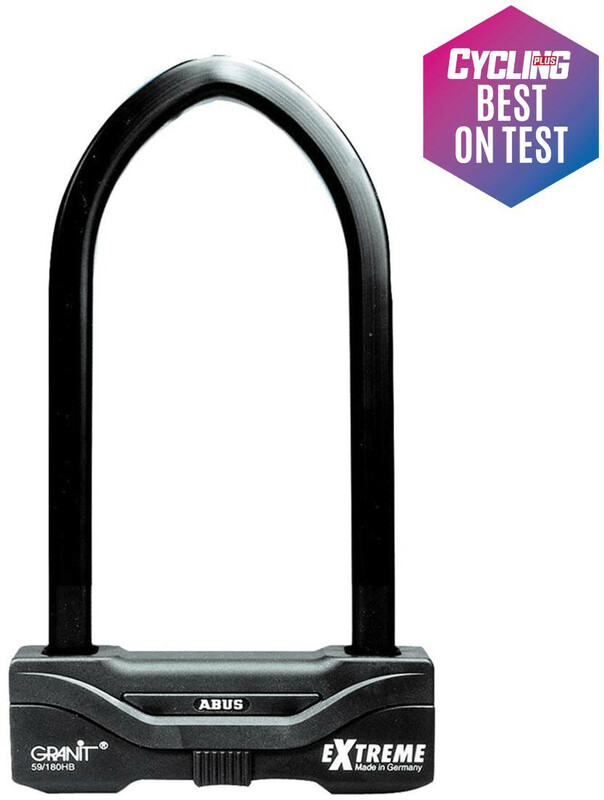 ABUS: This is probably the toughest D-lock money can buy and is suitable for any high risk application. A 16mm square section parabolic shackle is double bolted into the twin Powercells of the armoured, hardened steel body, providing colossal pulling resistance. The latest generation X-Plus key mechanism offers 1,000,000 key variations to shrug off any attempts at picking. The Granit Extreme 59 is the absolute business.